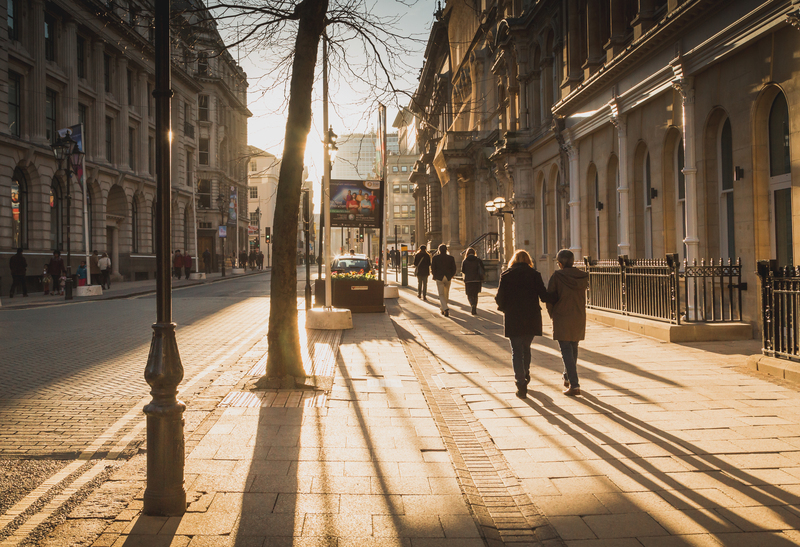 If you really want to get to know the city, then you need to head to the heart of it! 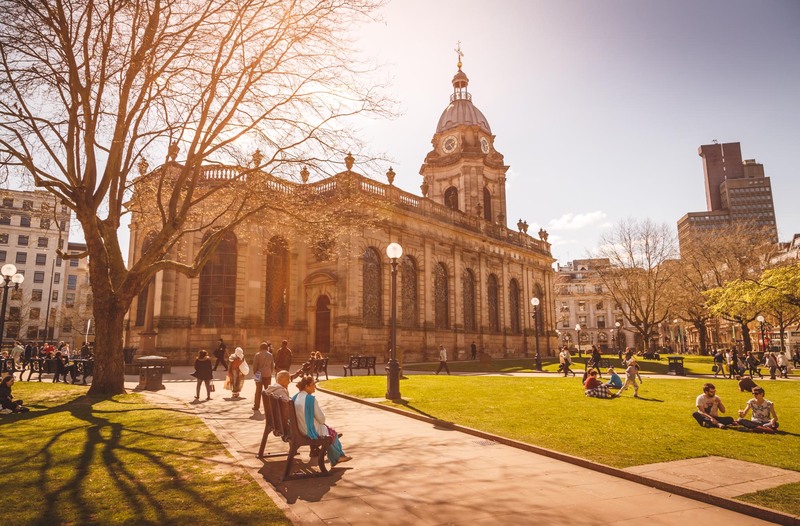 Birmingham’s St Philip’s Cathedral is located on Colmore Row, right at the centre of the bustling business district. The Cathedral sits surrounded by a park that’s busy all year around. Affectionately known by locals as ‘Pigeon park’ (no prizes for guessing why), these grounds play host to regular events throughout the year from art installations to theatrical shows, charity events, markets and much, much more. 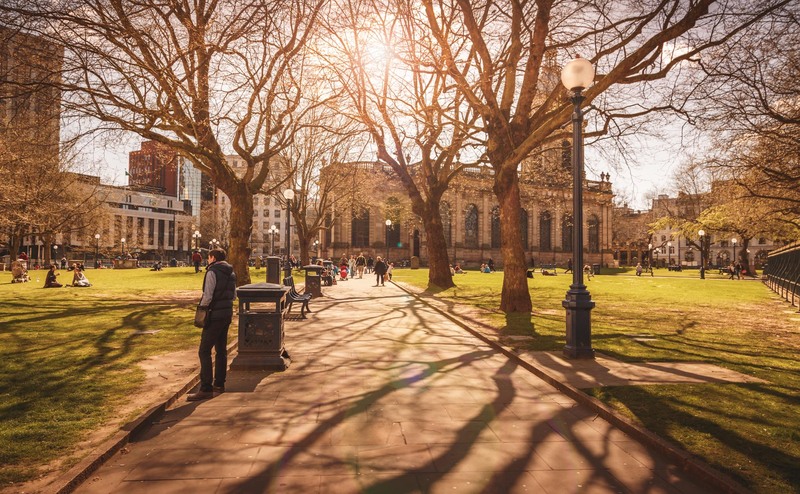 The park is enclosed by some of Birmingham’s most fashionable bars and Restaurants, from San Carlo and Fumo on Temple Row, to Gusto and The Alchemist on Colmore Row – to name just a few of my favourites. If coffee is more your thing, the super-trendy 200 Degrees will tick all the appropriate boxes, but if you prefer a laidback atmosphere I’d recommend York’s. For the shopper in you, don’t forget to check out Great Western Arcade located to the East of the park, which houses many of the city’s top independent traders alongside some popular well-known names. Above all though, my favourite way to spend time in the park is to have a simple picnic and let the hustle and bustle of the city happen around you. In the Summer months, it does get a little busy but everyone’s in high spirits. In the Autumn, the park’s beautiful blanket of leaves change the whole feel of the place and make it an ideal place to stop and sip a hot choc. No matter what the time of year, don’t forget to check out the inside of the cathedral as well. Dating back to 1715, it has everything to keep the historian happy and plays host to as many cultural events as it does religious. Pigeon Park offers the perfect escape from the roar of the city; but all the chic bars and coffee shop hangouts you could want are only a stones-throw away!